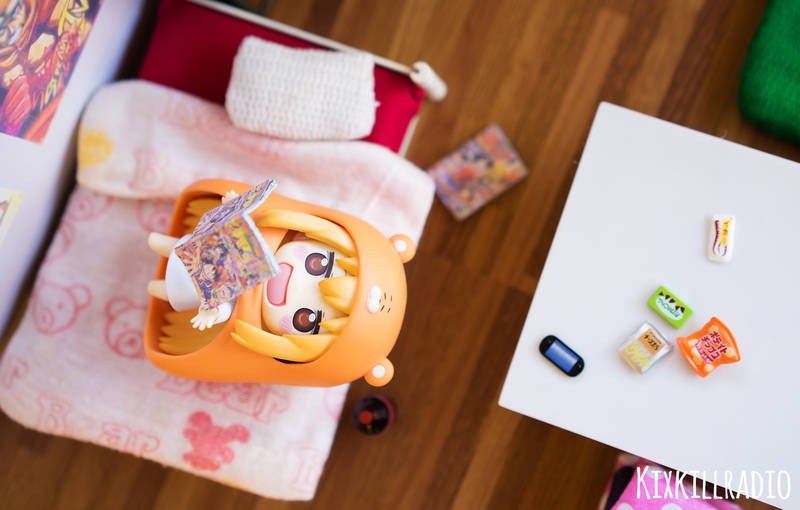 Today’s post is my figure photography of this year’s cutest character from the popular anime series ‘Himouto! 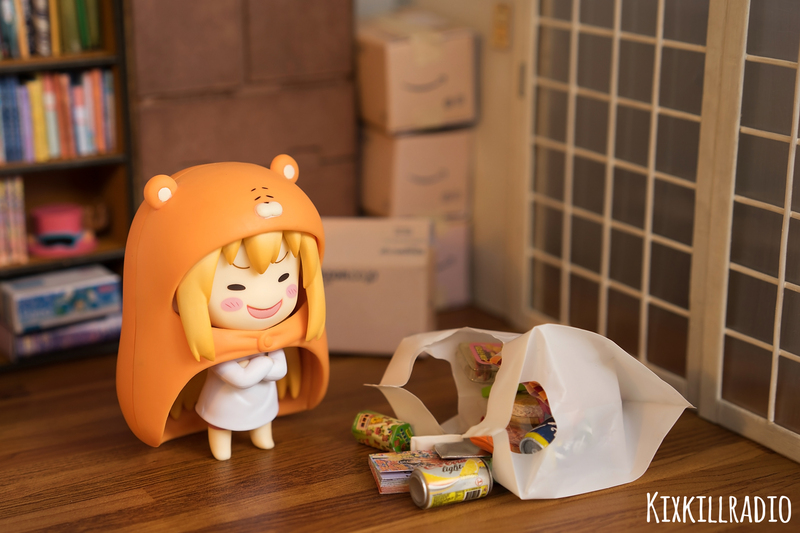 Umaru-chan’ Nendoroid Umaru by Good Smile Company. 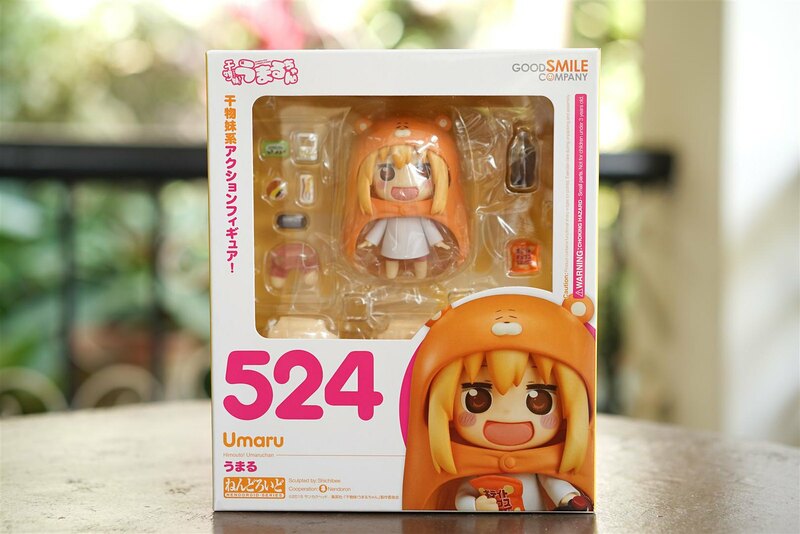 Umaru Doma is a high school girl who lives with her older brother, Taihei. 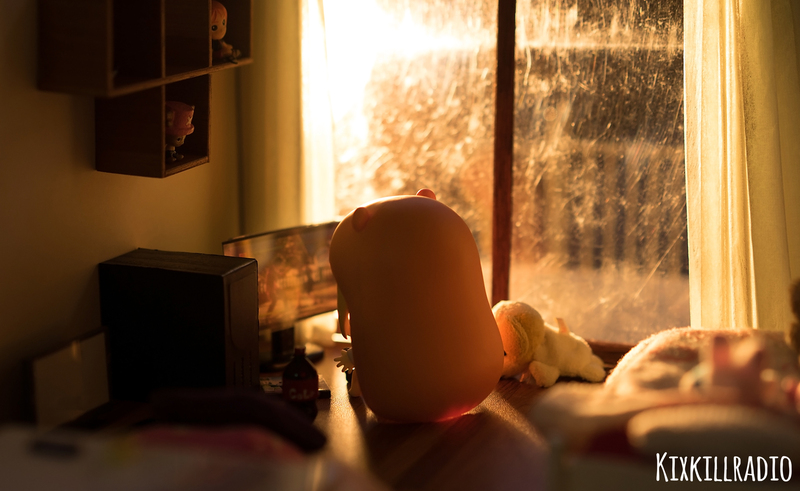 Outside her home, she appears to be perfect, intelligent, beautiful, talented and popular at school. 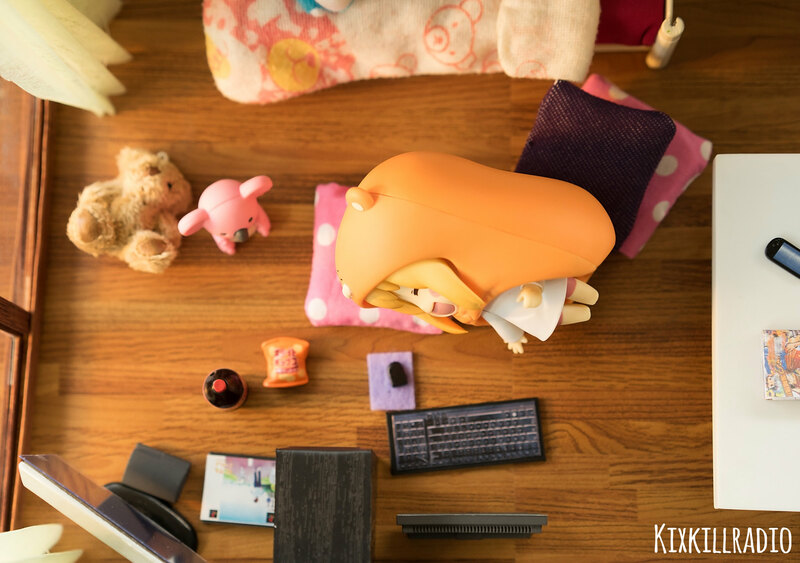 However, when she gets back into the apartment, it’s the opposite! 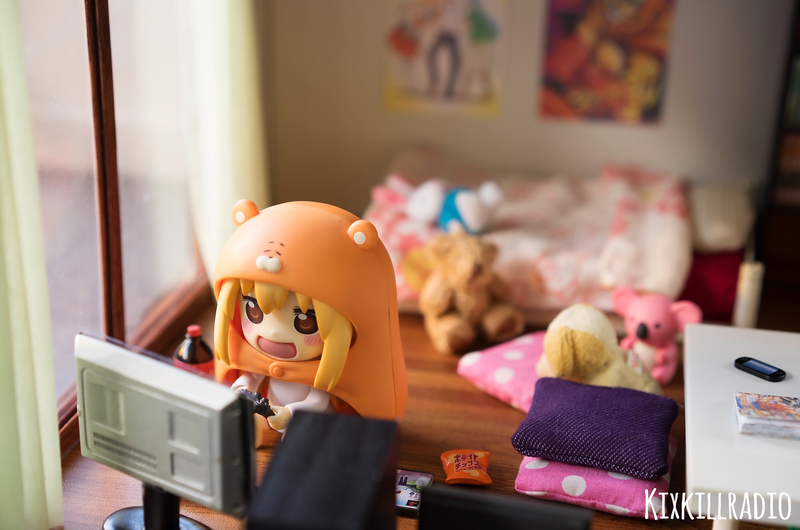 She transforms into a chibi, that wears a hoodie as she go about being lazy, letting out her otaku side and does not contribute to household chores at all. 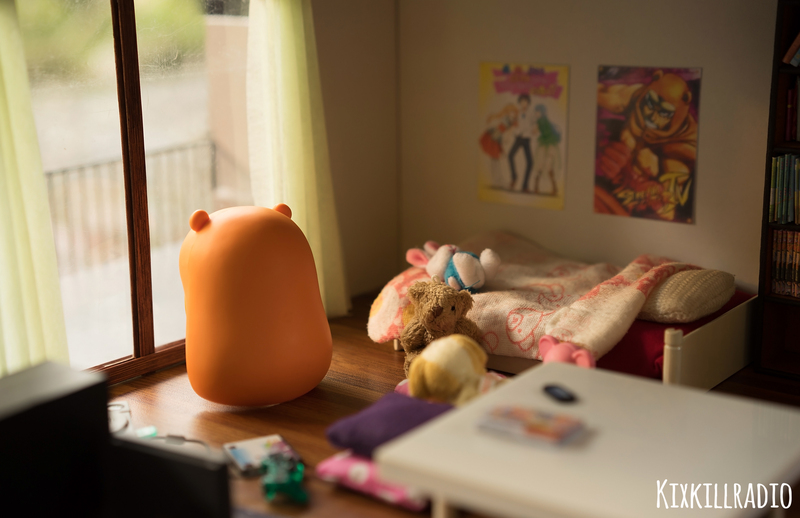 When GSC announced her release, I was really excited and I’ve actually been thinking of recreating their apartment. 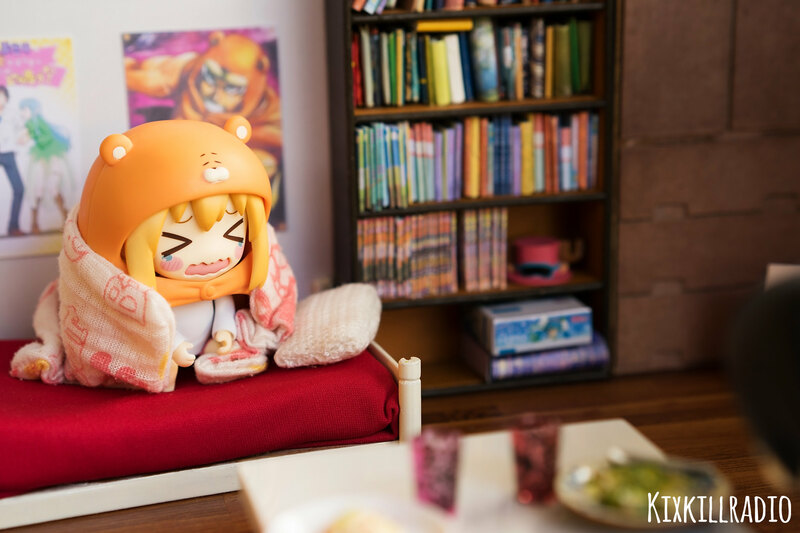 This is where Umaru-chan spends her time just lying around the house. 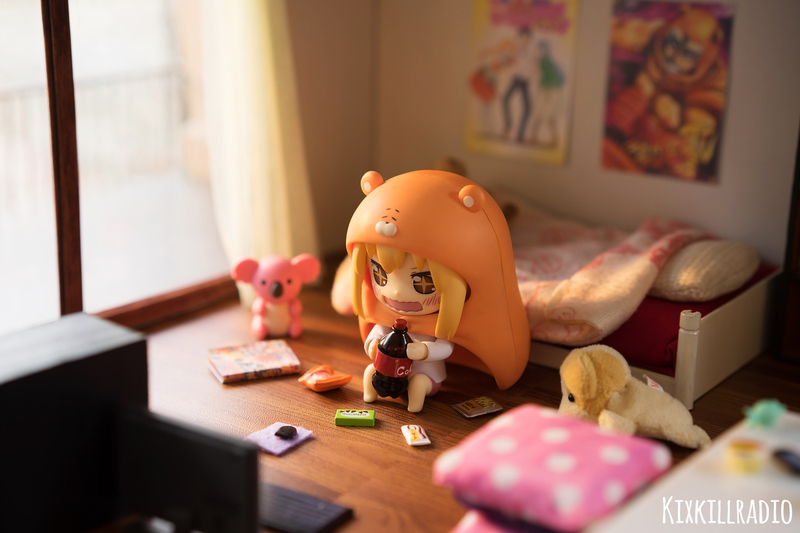 Check out the behind the scene video of making Umaru-chan’s apartment. 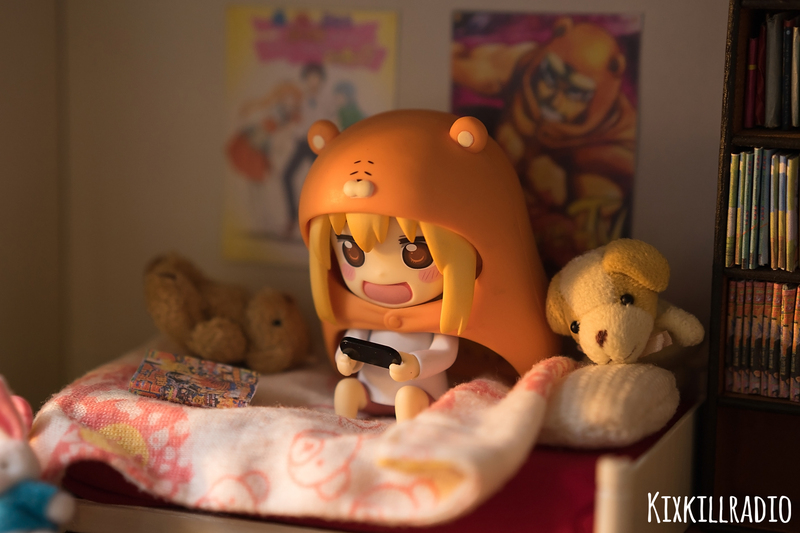 Well, here’s my Nendoroid Umaru , I got her about two weeks ago. OMG! 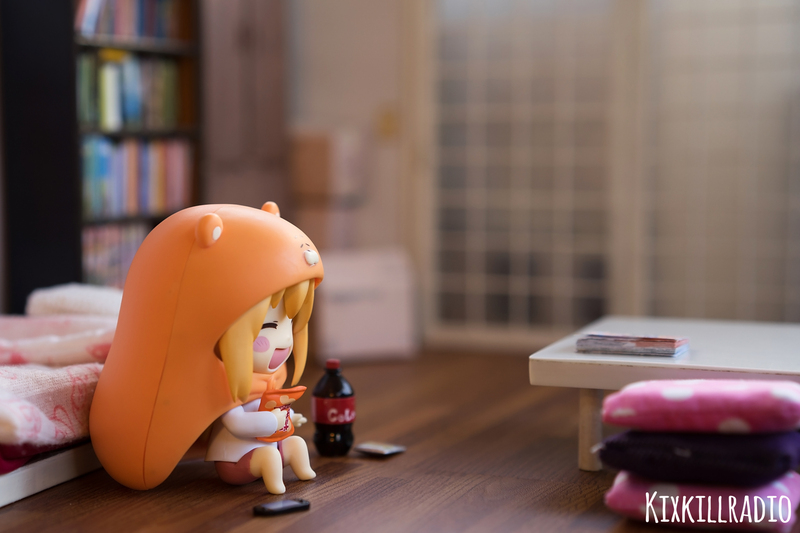 She comes with 5 facial expressions and her beloved cola and a bunch of junk food! 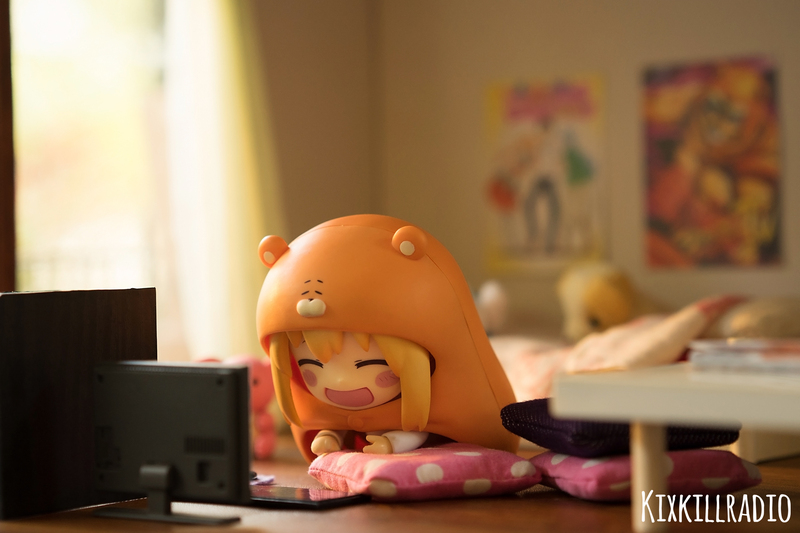 This is Umaru’s life, a truly unbelievable Himouto. 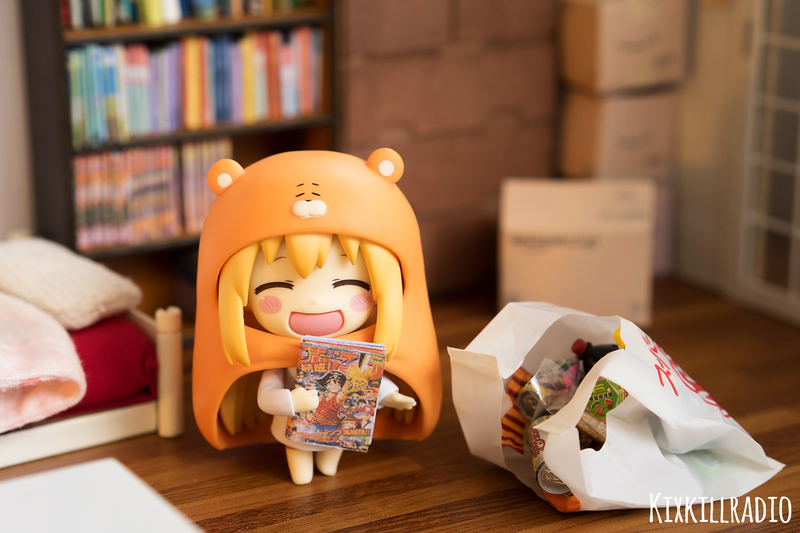 Buy me a Jumpu Manga! 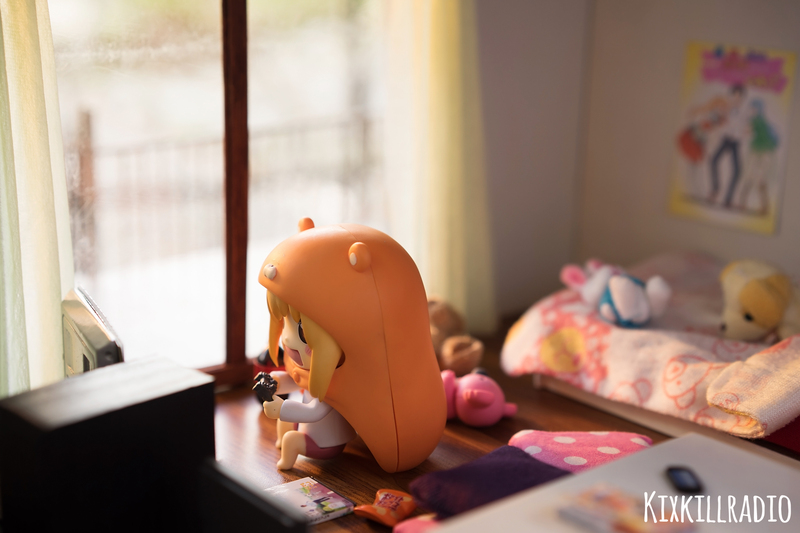 Today will be a Combo of Anime and Game: Bring on the Preparation! I chose these snacks to go along with my cola. 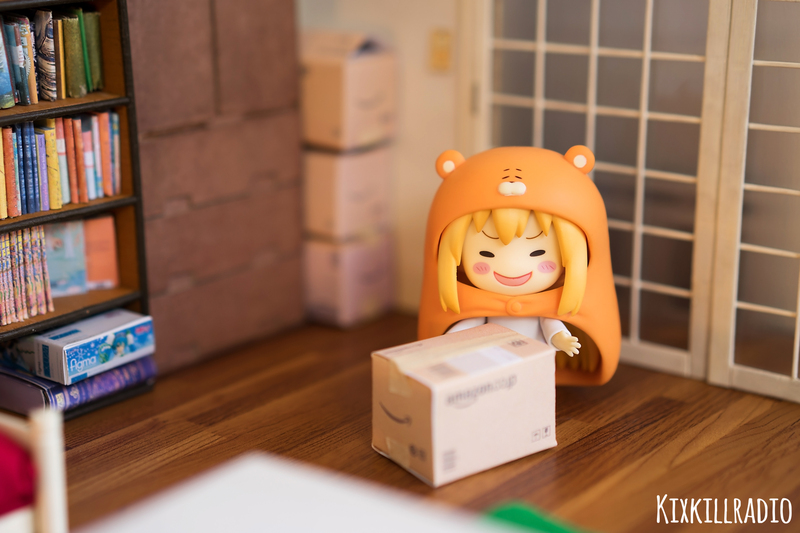 It’s Late and Onii-chan’s not yet Home! 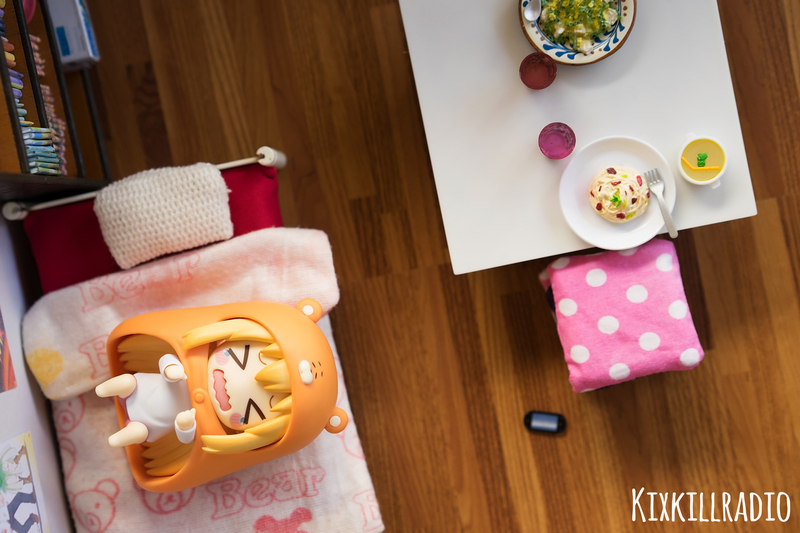 I wonder where’s Onii-chan.. I’m hungry. Ahh it feels like heaven! 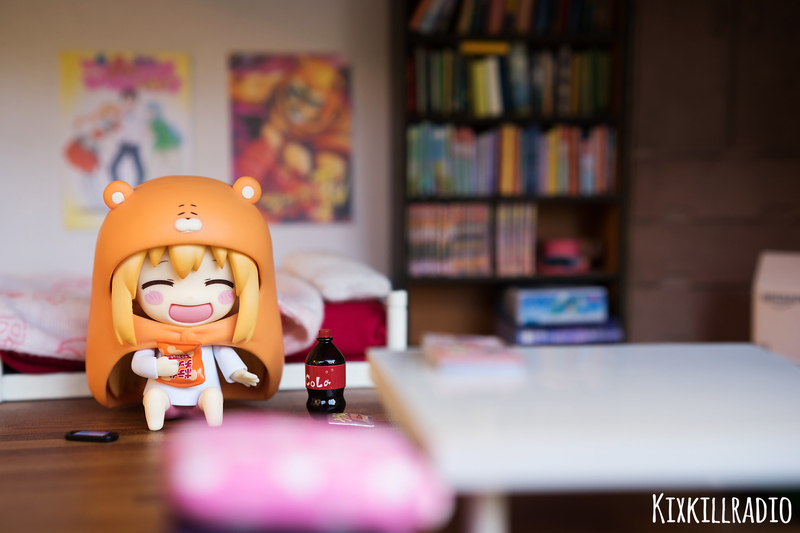 I hope you enjoyed this photo set of Nendoroid Umaru. 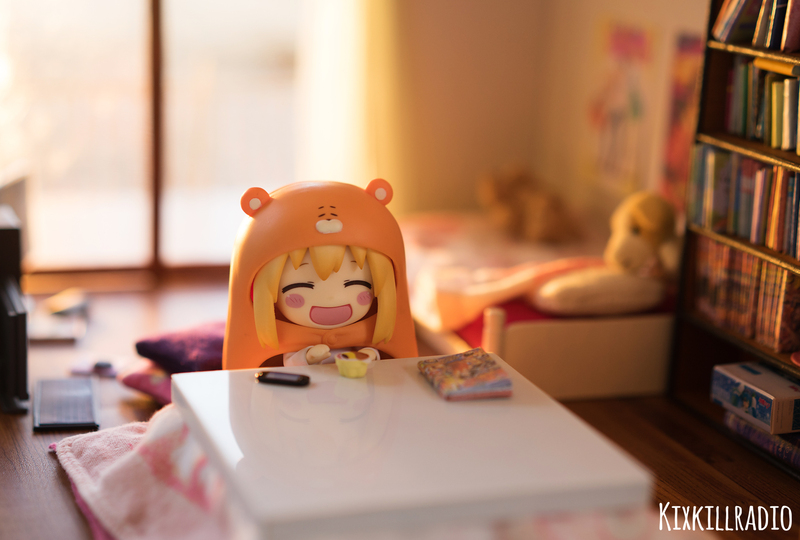 She’ll be back for more photos soon! Best build and photography ever! I REALLY hope your shop gets in new mini furniture … would you ever do mini homes like the ones you make for your self? 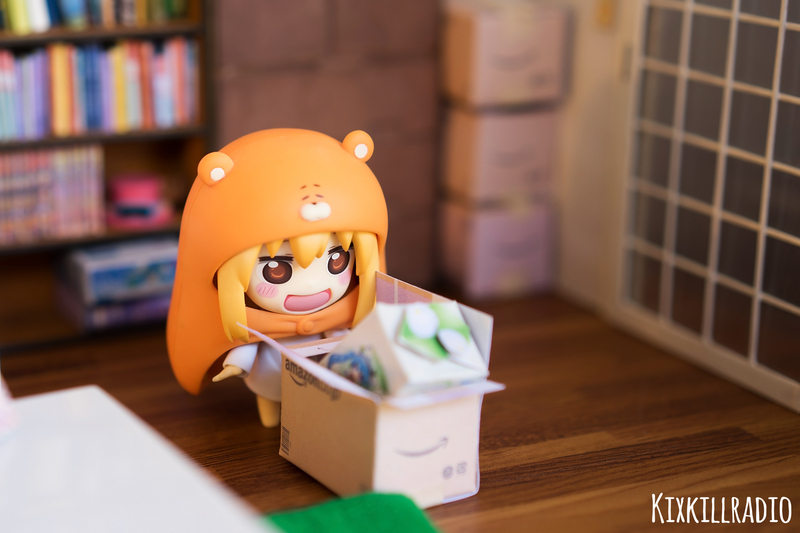 Where did you buy the Nendoroid , pleeeease?? ?